In other words, he initially assumed the cosmological redshift and the Doppler Effect were one and the same. But the Doppler Effect only occurs in a medium. Einstein had removed that possibility by his temporary rejection of aether. A single particle could not have such an effect. Nonetheless, regressive physicists and cosmogonists accepted Einstein’s eight ad hocs.Both BBT and SST assumed that light was a particle instead of what it really is: a wave in a sea of particles. 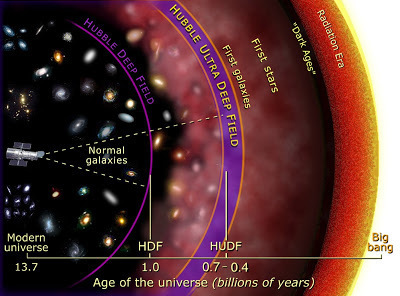 Bashing the Big Bang....This is a FAVORITE by David de Hilster who always gets gems from one of his friends, mentors, and one of the greatest scientific minds of our time: Dr. Glenn Borchardt on his Scientific Worldview Blog. This time Glenn brings to light how mainstream science journalism uses name calling instead of scientific arguments against those dissident scientists showing Einstein and general relativity wrong. What is the cosmological redshift?... As mentioned in Infinite Universe Theory, there are many types of redshift found in astronomy. Here, we are concerned only with the one responsible for the erroneous idea that the universe is expanding. 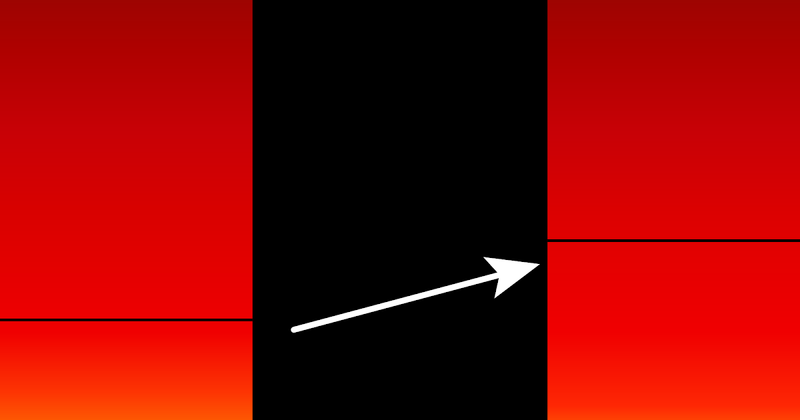 Light from all sources loses energy as a function of distance (Figure 1). Note that the dimmest sources, farthest away, have the highest redshifts (Figure 2). The cosmological redshift also is termed the “Hubble redshift” for the astronomer who first discovered it. What is the cosmological redshift? There has been a deliberate suppression of scientific truth by the community of physicists and astronomers concerning the black hole and the big bang. I bring you free access to original papers in the hope that this fraud can be exposed and physics restored to a rational search for knowledge. The black hole has no foundation in theory whatsoever. Neither Newton's theory nor Einstein's theory predict it. In fact, both theories preclude it, contrary to what the relativists claim. The so-called "Schwarzschild" solution is not due to Karl Schwarzschild at all. The experts have either not read Schwarzschild's 1916 memoir or have otherwise ignored it. Go here to get Schwarzschild's original paper, in English. The so-called "Schwarzschild" solution is due to David Hilbert, itself a corruption of a solution first derived by Johannes Droste in May 1916, whose paper has also been buried or ignored at the convenience of the experts. It appears that the experts have not read Hilbert either. Go here to get a copy of Hilbert's erroneous derivation, in English. Hilbert's mistake spawned the black hole and the community of theoretical physicists continues to elaborate on this falsehood, with a hostile shouting down of any and all voices challenging them. Schwarzschild's solution has no black hole, and neither does Droste's solution. And while you're at it you might as well go here to get a copy of Marcel Brillouin's 1923 paper, in English, in which he demonstrates that the black hole is nonsense. Brillouin's paper has also been ignored. The 'experts' are always quick to conveniently brand anyone who questions the black hole as a crackpot. Unfortunately for the experts that does not alter the facts. The experts must also include Schwarzschild himself as a crank since his paper invalidates the black hole outright, as does Brillouin's, and Droste's. They must also label Einstein a crackpot, because Einstein always rejected the idea of the black hole, asserting in his research papers and other writings that it is not physical, and that singularities in his gravitational field nullify the theory of General Relativity. It is also commonly held by experts, for example, Hawking and Ellis, Misner, Thorne and Wheeler, S. Chandrasekhar, that the Michell-Laplace dark body is a kind of black hole, and that black holes can be components of binary systems and that black holes can collide and merge. These claims are patently false. Go here for a copy of G. C. McVittie's conclusive arguments which invalidate these ridiculous claims. So if you are a scientific person you will read Schwarzschild's paper, and those of Droste, Hilbert, Brillouin, and McVittie. You have no legitimate excuse not to, as they are given to you herein. This is not a question of historical priority, as the relativist is apt to claim when confronted with reality, but one of fundamental science. It is also claimed by the very same "experts" that the Universe is expanding. This is patently false. Also listed below are my own research papers in which I prove that black holes are not consistent with General Relativity. Here are some important original papers that deal with the Black Hole and the Big Bang. They prove that these theories are invalid. 1. On the Gravitational Field of A Sphere of Incompressible Fluid According to Einstein's Theory. 2. The field of a single centre in EINSTEIN'S theory of gravitation, and the motion of a particle in that field. Johannes Droste's 1916 paper (published 1917). There is no black hole. 3. Black Holes: The Legacy of Hilbert's Error. Leonard S. Abrams proves the invalidity of the Hilbert solution and the black hole. 4. The Total Space-Time for the Point Charge and its Consequences for Black Holes. Leonard s. Abrams proves the invalidity of the Reissner-Nordstrom black hole. 5. The Total Space-Time of a Point-Mass when λ ≠ 0, and its Consequences for the Lake-Roeder Black Hole. 6. Mechanics. - On the Analytical Expression that must be given to the Gravitational Tensor in Einstein's Theory. A very nice paper by T. Levi-Civita in 1917, one of the inventors of Tensor Calculus, proving that Einstein's pseudotensor is nonsense because it leads to a first-order, intrinsic, differential invariant, which the pure mathematicians G. Ricci-Curbastro and T. Levi-Civita proved in 1900 does not exist! 7. How far can one get with a Linear Field Theory of Gravitation in Flat Space-Time? An interesting treatment by Hermann Weyl (1944) proving that the standard linearization of Einstein's equations is inadmissible. 9. My papers are here. On the Occasion of the XXIII Texas Symposium on Gravitation and Relativity, Melbourne, Australia, December 2006. On or about the 13th December 2006, in formal protest against the proposed funding in the sum of $20m for stage II of the Australian International Gravitational Observatory at Gingin in Western Australia, papers by myself and four other authors, were sent to the Federal Minister for Education, Science and Training, Julie Bishop MP; the Leader of the Federal Opposition, Mr. Kevin Rudd; the Minister for Science and Innovation Western Australia, Mr. Francis Logan; the Shadow Minister for Science and Innovation Western Australia, Mr. Barry House; the Director of the Australian International Gravitational Research Centre, Prof. David Blair, at the University of Western Australia; the Chariman of the ACIGA, Prof. David E. McClellend at the Australian National University; the editors of the following newspapers - The Australian, The Sydney Morning Herald, The West Australian, The Courier Mail, The Age, The Advertiser; the Executive Director of 'A Current Affair', TCN Channel 9 Sydney; and Mr. Robyn Williams, The Science Show, ABC Radio National. Go here for full details about the protest before the Australian Federal Government and the State Government of Western Australia. In addition these letters of protest were sent to Government and Shadow Ministers, AIGRC Director and ACIGA Chairman, with copies to the aforementioned media concerning the misdirected funding of the AIGO and related organisations. A paper was also sent to all persons who presented papers dealing with aspects of black holes or big bang cosmology before the biannual Congress of the Australian Institute of Physics held in Brisbane 3 Dec. to 8 Dec. 2006, to all website lisited officials of the Australian Institute of Physics, and to all persons who presented papers dealing with aspects of black holes of big bang cosmology before the XIII Texas Symposium on Gravitational, Relativity and Cosmology held at the University of Melbourne during the week commencing Monday 11 Dec. 2006. None of the Australian Institute of Physics scientists responded, none of the contacted participants of the AIP Congress or the XXIII Texas Symposium responded. Prof. Regind T. Cahill of Flinders University in South Australia presented an important address at the AIP Congress in Brisbane. However, I received a report that the AIP would deliberately omit professor Cahill's paper from the published Proceedings of the Congress, evidently because of its implications for the currently accepted theories and current research projects in gravitation. I sent an email inquiry to the President of the AIP requesting an explanation. Copies were sent to all AIP officials as listed on its website. The AIP ignored the inquiry. Here is the letter of inquiry. It is plain that the AIP actively engages in the suppression of science to further its own ends and those of its colleagues. My own experiences in academia for challenging "conventional wisdom" can be perused here. I was expelled from PhD candidature by the University of New South Wales. A professor of physics at UNSW (Professor Chris Hamer) even altered my work, and then claimed, on the basis of his alteration, that I was wrong. The E-Print version of the hard-copy journal Progress in Physics can be perused online here. All papers published by this journal can be downloaded free of charge. On the 27th December, 2004, the following appeared in the Sydney Morning Herald, page 31, column 3. I, Stephen J. Crothers, say that the general solution to Einstein's Vacuum Field Equations is at: The solution referred to is now here. This page established: 23rd October, 2004. Why is there something rather than nothing redux? IUT, Figure 9. Close-up of a small portion of the HUDF [Hubble Ultra Deep Field]. Note that these objects are various colors. Most are not red as implied by the misnomer “cosmological redshift.” Color is determined by frequency, not wavelength. Credit: NASA. IUT, Figure 7. NASA’s official view of what the Big Bang universe should look like (seriously). Credit: NASA. “The new version of Hubble's deep image. In dark grey is the new light that has been found around the galaxies in this field. That light corresponds to the brightness of more than 100 billion suns. Credit: A. S. Borlaff and others, 2019.” (Courtesy Mike Wall, Space.com). Once again, it looks like there is more to the universe than previously recognized. In Infinite Universe Theory (p. 289), I predicted that “Improvements in instrumentation soon will result in the discovery of cosmological objects older than 13.8 billion years.” That is the currently accepted “age of the universe.” IUT Figure 7 will be severely tested when the Webb telescope replaces the Hubble after March 2021. Will that put the kibosh on the BBT? Unlikely. Cosmogonists no doubt will invent some new ad hocs to rescue the theory one more time. Readers might remember that my prediction is that the BBT will not be discarded until 2050. Borlaff and others, 2019, The missing light of the Hubble Ultra Deep Field, v. 621, p. A133. The Logic of Proof....If a theory is true, then certain events can be observed.If Relativity is true,then starlight passing near the sun will be bent twice as much as Newton’s theory predicts.If evolution is true, then variations in a species can develop into independent species.If the Big Bang is true,then there will be a cosmic background radiation corresponding to the temperature to which space has cooled since it Banged.